Description: A grand experience at the meeting of the waters. 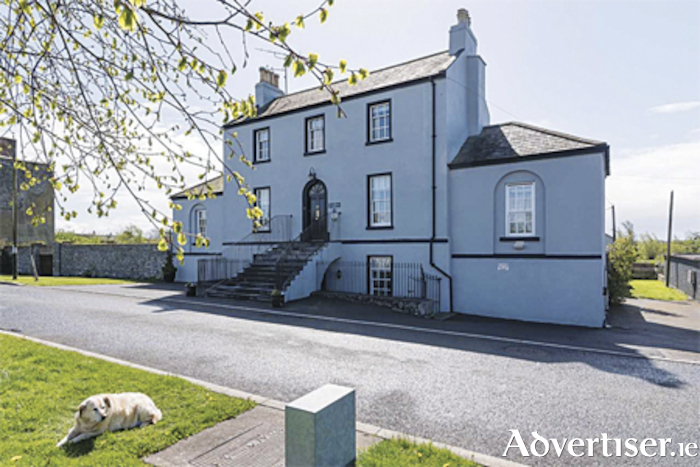 New to the market is the Harbourmasters House directly beside the water in Shannon Harbour on the Grand Canal where it meets the river Shannon. A beautifully presented Georgian house constructed in the early 19th century when the Grand Canal was built from the Shannon to Dublin predating the railways. It has been recently in use as a fine B&B specialising in fishing holidays and previously as the family home of the Harbourmaster until the canal closed commercially. It features seven en-suite bedrooms, two living rooms, a large dining room, a fitted kitchen and various out offices, a laundry room and has a walled garden landscaped by Birr Castle landscapers. It has lots of potential as a hideaway home, an Airbnb investment, B&B or a waterside restaurant. Seven Bedrooms, three reception rooms, eight bathrooms, house, detached, garden, period, private parking, village, central heating, water/sea views, good decoration, 250.0 approx. sq. metres. BER Exempt. Sun Terrace 5.3m x 1.9m; 2691 sq. ft. approx; Alarm;Timber double glazed sash windows; Exposed timber beams; Oil fired central heating and solid fuel stove; Feature stone and brick open fireplaces; Mains sewage and water schemes; beautifully manicured rear garden, walled all round. Agent for this Sherry Fitzgerald property is Dermot O’Meara and he can be contacted on 086-2551082. Geography of Ireland Counties of Ireland Provinces of Ireland River Shannon County Offaly Grand Canal Banagher Hospitality_Recreation Dublin Sherry FitzGerald River Shannon Shannon Grand Canal AirBnB Harbourmaster Shannon Harbour Harbour Masters House Shannon Harbour 086-2551082 Banagher Co.